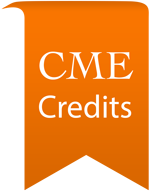 This DVT – Lower Extremity: Core Clinical Module focuses on the sonographic evaluation of lower extremity deep vein thrombosis (DVT), including both first-time and recurrent DVTs. 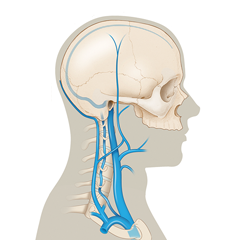 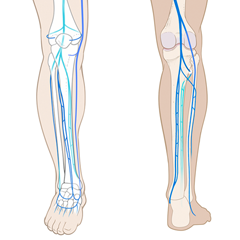 Course lessons cover normal lower extremity vasculature, sonographic anatomy, and scanning technique. 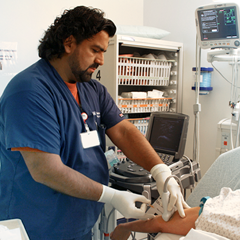 Multiple DVT ultrasound protocols (ranging from point-of-care to comprehensive whole-leg ultrasound examination) are discussed. 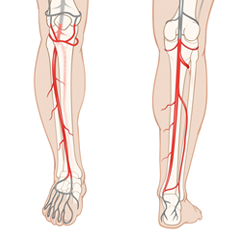 Multiple real-patient DVT case studies and alternative conditions included in the differential diagnosis of DVT (e.g., Baker’s cyst) are presented. 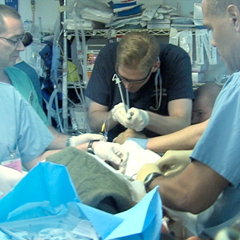 In-module questions and an end-module mastery test assess didactic knowledge. 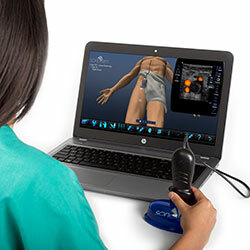 The patented SonoSimulator® helps to develop the requisite image acquisition, image interpretation, and cognitive task awareness required to perform DVT ultrasound. 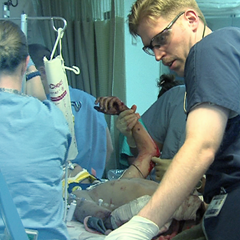 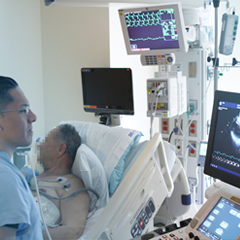 The SonoSimulator helps develop the requisite image acquisition, image interpretation, and cognitive task awareness central to performing DVT ultrasound. 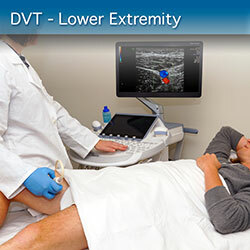 The DVT – Lower Extremity: Core Clinical Module provides the opportunity to virtually scan real-patient ultrasound cases and learn to identify DVTs in various venous segments along the proximal lower extremity.